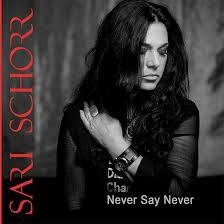 Sari Schorr's 2018 release Never Say Never is the kind of blues-infused hard rock that I love. Schorrr's raspy, powerful, badass vocals are definitely the star. But if you've been reading my blog at all, you know it's all about the music first. Never Say Never reminds me most of an album that not many have heard: When The Blackbird Sings by Saraya. That is a compliment. Schorr evokes the best of the 80s. Reminiscent of Bonnie Tyler, Stevie Nicks and bluesy hard rock, in the best way. It also has a 70s vibe to it. Forget what you've heard about rock being dead. It's just being repackaged. Here's a live clip of "Valentina". Enjoy.